For example, a lot of people get set on one kind of diet/way of eating… aka. Paleo, Atkins, Keto, Whole 30, South Beach, the list goes on… if they like the diet, believe it will work and buy in 100%… it almost always works regardless of age, gender, ethnicity and even specific medical issues. Let’s not forget the main goal of a diet or changing your nutrition is to get healthier, healthier is generally defined as… feeling good, having more energy, losing body fat, increasing muscle and improving blood/hormones profiles. No matter the “type” of diet or plan if you gain some or any of the above mentions improvements in your health you are much better off than when you started regardless of if said diet was scientifically “perfect”. lots of veggies, healthy unprocessed meats, some fruits and of course limiting processed carbohydrates as much as possible (no cardboard carbs!) And lastly keeping your total consumed calories below your daily or weekly burned calories. So, the goal should be to find the way that “””YOU””” can stick to a plan that is making you healthier which in turn will make it a lifestyle change. If your very reluctant to remove the bulk of carbs from your diet, chances are you need to make that change ASAP. Often the most uncomfortable action is the one you need to take ASAP and will yield the biggest results. PS- if you think you could benefit from some fitness & nutritional coaching we would be happy to help. 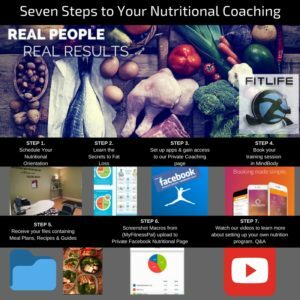 Click HERE TO check out our 28 day challenge which incorporates a full nutritional coaching program and training.